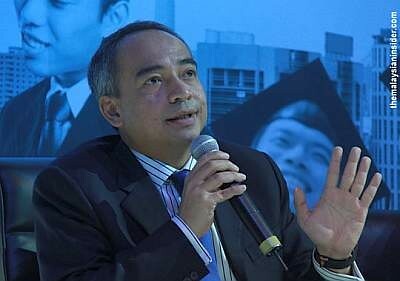 Datuk Seri Nazir Razak: "Malaysia must overcome corruption and carry out more market-oriented reforms if it is to move up from being a middle-income economy." Nazir said this during an interview with Financial Times, and admitted that corruption remains a problem, and it is something that needs to be combated. It is easy to concur with a man of his calibre. But wait, if taking one's opinion is hard for you, just look at the following statistics made available by Transparency International. 2008 : 5.1 out of possible 10. The country’s ranking also fell to 60 out of 183 countries — between Saudi Arabia and Cuba — from 56 out of 178 last year. Malaysia remained the third-least corrupt nation in Asean after Singapore (9.2) and Brunei (5.2), with Thailand (3.4) and Indonesia (3.0) following in fourth and fifth places respectively. If you ask me for figure, I'd say 3 to 4 but this is purely based on perception. No hard facts and don't ask me to show one. Perception is derived from daily experience and impression so these are all subjective.